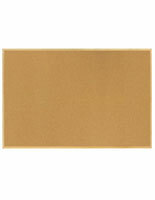 46.5" x 36" 48" x 48" 60" x 48" 72" x 48" 96" x 48"
Tackboard, Oak Frame 36" x 24"
This tackboard can be used for many reasons in countless locations. 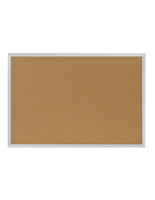 This mid-sized tackboard is great for businesses looking for an economical and fairly-sized option to a public message center. 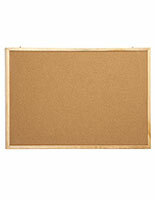 This tackboard is also used by schools as a place to post events, schedules and pertinent information. 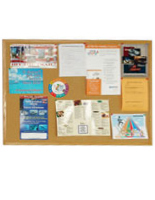 This tackboard is an ideal message board for churches and hospitals for displaying events and important information. 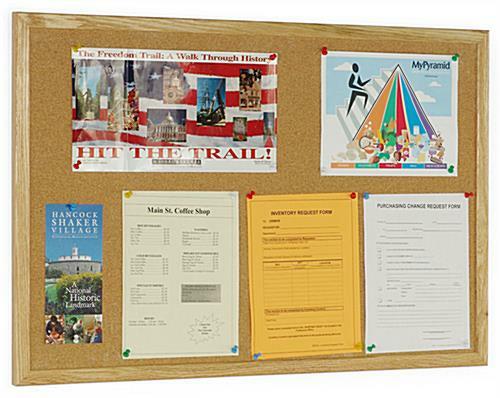 For example, this tackboard is often used in grade, high, and boarding schools for showing class listings or in hallways to exhibit fire exits. This tackboard is top of the line. 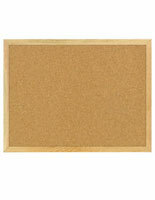 The tackboard features a finely ground cork surface that will firmly hold any tack, push pin or staple. 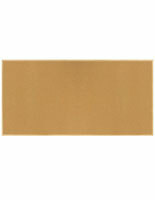 The surface of the tackboard is also very durable and resilient, giving it longevity that will last for years to come. This lightweight tackboard comes with hanging brackets that allow you to mount it almost anywhere, but mounting screws are the customer's responsibility. The tackboard is a great deal. 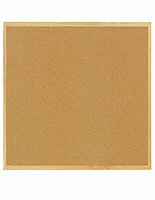 With pricing that is easy on the pocket and quality through the roof, this tackboard is an economical purchase!